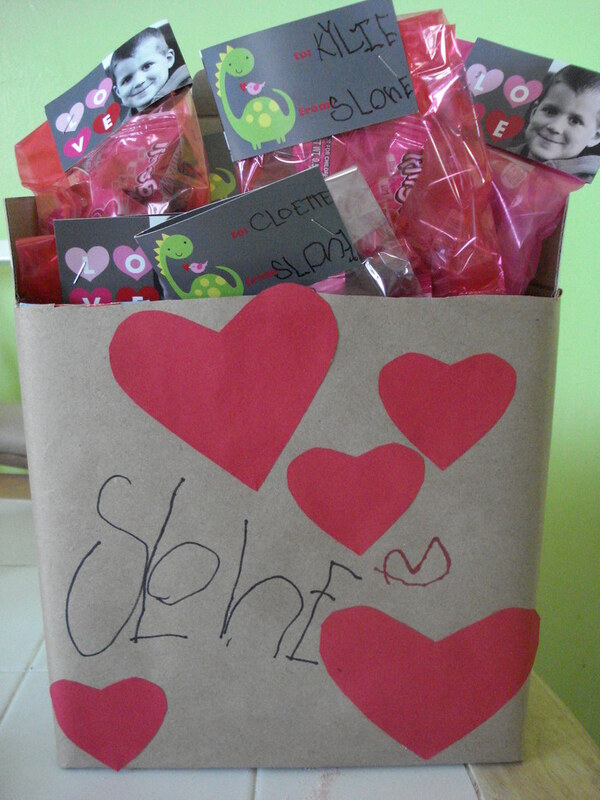 Today, we made Slone's valentines for school! He was really loving it. 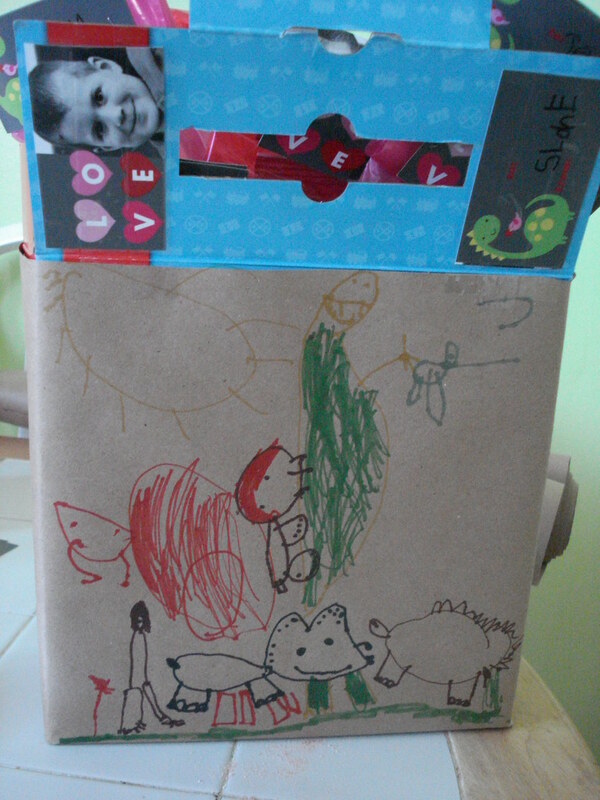 I took a box from Bo's birthday party and wrapped it in craft paper. 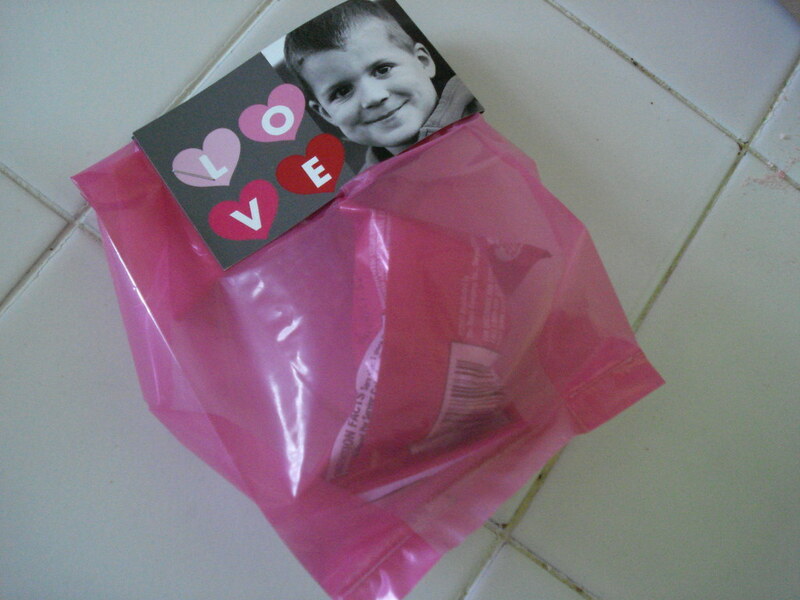 The box had a envelope sized hole in the top of it where a handle had been, perfect for slipping in the valentines. Slone also drew dinosaurs all over the back of it. I love that he loves to draw. He's pretty good at it too. 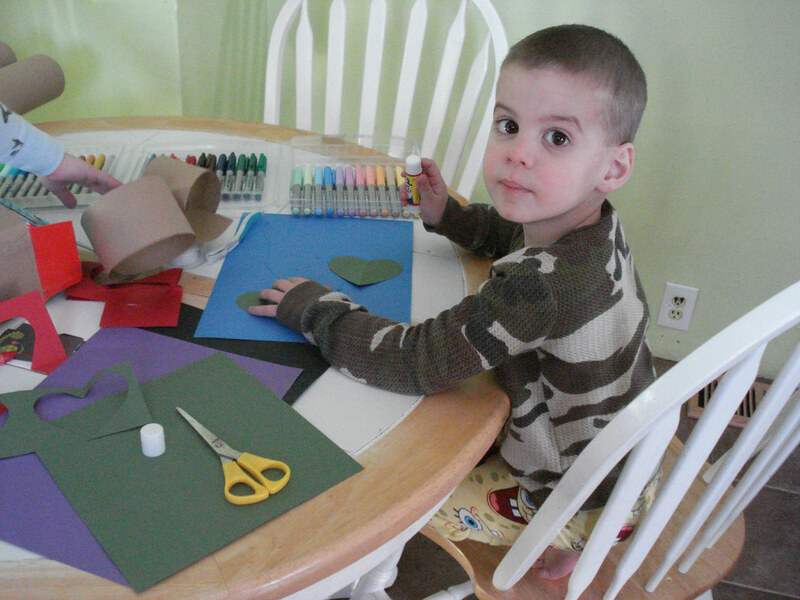 We cut out paper hearts and glued them to it. Bo especially loved the gluestick. He did think it was chapstick though, when I first pulled it out. (I just shivered a little, thinking of him putting it on his lips) Think glue tastes the same way it did as when we were kids, you know you've tasted it. Slone decided he wanted to give out ringpops. Let me just say to the moms of the kids in his class: I did refrain from putting fundip in the baggies. Be thankful for what you get. 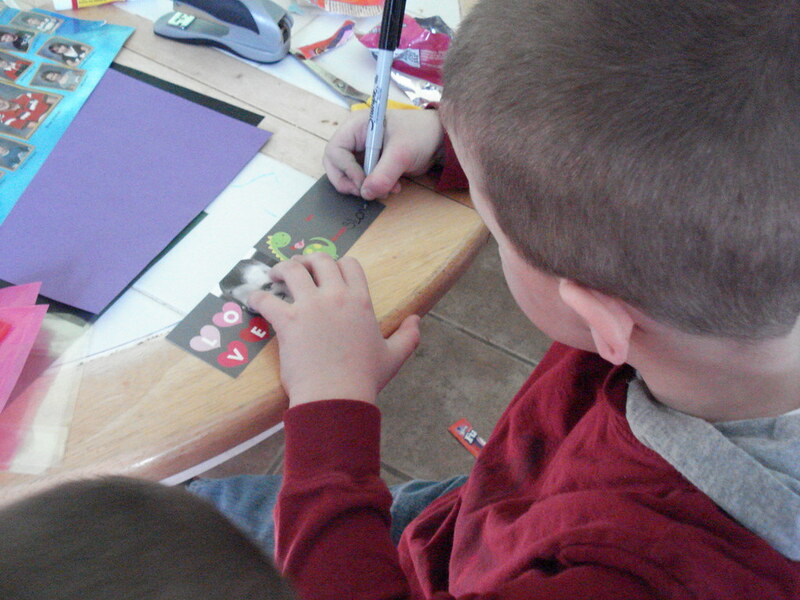 I designed the little card with his picture on it. Just thought it would be something different for a valentine. I also made him write out everyone's name and his name on all of them. Ok, I did help a little. He got tired:) Just wait, kiddo. This was a cinch for homework.